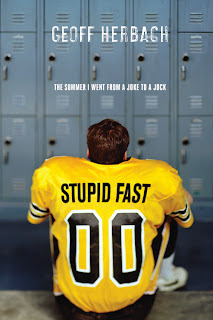 Stupid Fast is a book that had huge buzz. It won the 2011 Cybil Award for Best Young Adult Fiction, a year that is close to my heart because I was a Graphic Novels judge. One of my favorite book bloggers, Katie from Book Love, recommended it. 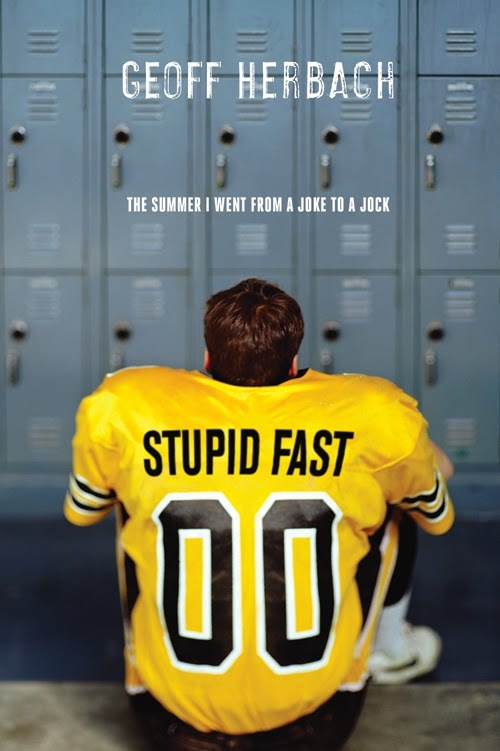 And I was only a sports book away from completing the genre challenge in my class, so I decided to grab Geoff Herbach's first novel about a teenager who suddenly becomes stupid fast. My feelings about Stupid Fast were mixed. I think Herbach does an incredible job getting into the mind of a fifteen year old boy. Felton's thoughts are full of confusion, self-doubt, profanity, and bravado. It's a voice that takes some getting used to. Felton always feels authentic, and since the format is a diary, we get full access to the stupid behind Felton's speed. On the other hand, I was irritated by many of the characters. Felton's mother's mental issues grated, and I have little patience for jock-speak, of which there was plenty as Felton gets absorbed into the cool clique. Still, for a book with a football player on the cover, the sports played a minor role, compared to the family issues at play. While I wasn't in love with the book, I think it would be a good addition to our eighth grade summer reading list. There is some cursing, but the boy appeal and relatability make up for it.